The American Legislative Exchange Council (ALEC) is a big-business think-tank that authors "model legislation" at the local, state and national level that benefits corporations at the expense of everyday people; their greatest hits make for scary reading -- you can thank ALEC for ag-gag laws, stand-your-ground laws, private prisons, bans on municipal ISPs, killing Obamacare and jailing pipeline protesters. ALEC's Republican legislator friends often introduce bills that are word-for-word identical to the "discussion drafts" they circulate, making ALEC the nation's most prolific and unapologetic legislative ghost writer. 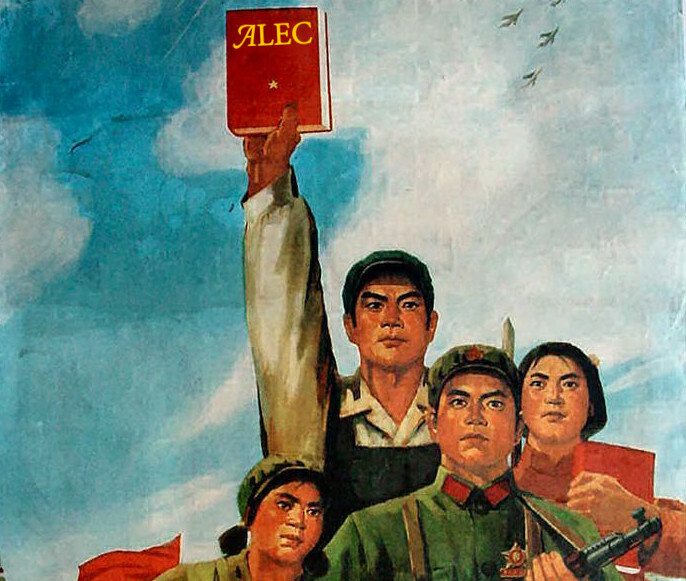 Alibaba is ALEC's latest member. The Chinese tech giant is an integral part of China's surveillance apparatus and a de-facto arm of the Chinese government. It's the latest Chinese giant to join US corporate lobbying efforts, a list that includes Wanhua Chemical joining the American Chemistry Council to help fund its legendary pro-pollution super-PACs.